Red Branch 418 on the Move Everywhere! The Order of the Eastern Star is an adoptive rite of Freemasonry with teachings based on the Bible and objectives that are charitable and benevolent. 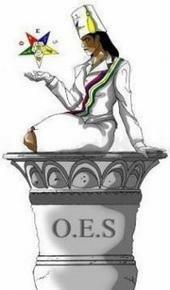 The founder of OES was Dr. Robert Morris, a lawyer and educator from Boston, Massachusetts, who was a Master Mason and Past Grand Master of Kentucky. Dr. Morris intended his creation to become a female branch of Freemasonry, but he failed to overcome the great opposition this idea engendered. After his first published ritual in 1849-50, he became associated with Robert Macoy who wrote and published a ritual based on Morris' in 1867. The first Grand Chapter was organized in Michigan in the same year. (There is evidence for an organization of the same name founded variously in 1788 or 1793, but this group was defunct by 1867.) 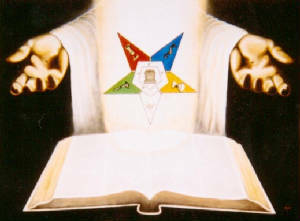 Subordinate (local) chapters operate under charter from state level grand chapters, which are responsible to the General Grand Chapter at the International Eastern Star temple in Washington, D.C.
Members must be eighteen years or older and either Master Masons in good standing or properly related to a Master Mason in good standing. The latter category includes wives; widows; sisters; daughters; mothers; granddaughters; step-mothers; step daughters; step-sisters; and half-sisters. In 1994 this was expanded to include nieces, daughters-in- law, and grandmothers. Each chapter has twenty-six officers, some elected and others appointed. Two offices are specifically male (Patron and Associate Patron) while nine offices are specifically female (including Matron and Associate Matron). While the Worthy Matron is considered to be the presiding officer of the chapter, the degrees cannot be conferred without a presiding brother in good standing (hence the Patron and Associate Patron). Interestingly enough, OES requires only the belief in a Supreme Being even though the degrees are based in both the Old and New Testaments. While non-Christians are not specifically barred from membership, it would seem to be difficult to be other than Christian and belong to the Order. Free & Accepted Masons of North Carolina and Jurisdictions, Inc.
First (Black) Grand Chapter Started in N.C. The Order of the Eastern Star was first formed in 1730, in France.Closer to home, the first Grand Chapter of the Eastern Star was organized in Washington, North Carolina 150 years later. Robert Morris and Robert Macoy have been credited with beginning the Order of Eastern Star. It was Morris’ feeling that Masonry should be a family affiliation. Members who considered women inferior to men and who did not approve of Morris’ plan met Morris’ steps to make that dream a reality with fierce resistance. Morris soon realized that he would have to develop another strategy.Finally, he created the Eastern Star Degree.Rights to the Eastern Star Degree were transferred to Macoy when Morris journeyed to the Holy Land. By 1880, the first (Black) Grand Chapter of the Order of Eastern Star was formed in Washington, NC. A year later, a Grand Chapter was held in Raleigh, NC. Chapters in Fayetteville, Smithfield and Warrenton followed. 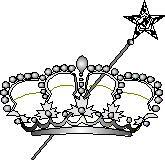 When the Adoptive Rite was first introduced in North Carolina, it was comprised solely of the Eastern Star Degree. Later Robert Macoy, who gave to Robert Morris the credit of being the founder of the Adoptive Rite, wrote the ritual for the “Queen of the South.” The, ritual was received by the Grand Chapter in NC directly from the author, by the Grand Patron and Grand Master J. W. Hood. Macoy later wrote the Ritual of “The Amaranth” in order to give a greater diversion to the work, which completed his purpose to improve upon the plan of the original author of the Adoptive Rite. This Ritual was written to include symbolic representations of the highest and purest principles of morality and religion. The added degrees contributed greatly to a rapid growth of the Eastern Star and many new chapters were started.